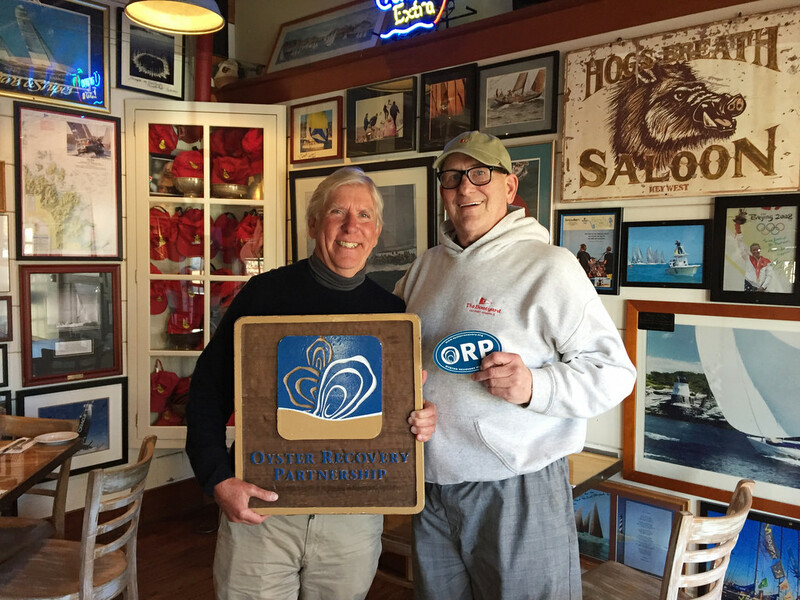 The Boatyard Bar & Grill is the #1 Shell Recycler in the Annapolis area! 819 bushels of beautiful oysters....that's about 409,500 oysters eaten at the Boatyard in 2018. We recyle all those shells through the Oyster Recovery Partnership . Why bother to recycle? One important reason is that oyster reefs built from those shells are seeded with baby oysters and grown strategically throughout the Chesapeake Bay as a critical part of a healthy ecosystem. All those oyster shells from 2018 were used to plant about 4 million baby oysters, known as "spat"! Boatyard is the #1 recycler in the Annapolis area, and came in at #5 of the top 10 DC, Baltimore and Annapolis area restaurants combined. We are especially proud of all of the dedicated slurpers that are doing their part to heal the Bay! We Ship Our Maryland All Killer, No Filler Crab Cakes Online!